Call it by any name — specialty, fancy, gourmet or premium — today’s concept of quality is being redefined by the consumer. Here’s our framework for understanding how consumers make decisions about high-quality food and beverage products, brands and experiences. A large cast of change agents is creating turbulence for iconic, established food and beverage brands in the American market today. 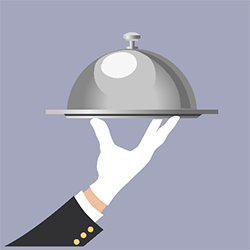 While several factors are at work — ranging from socioeconomic considerations to broadening competition from new food and beverage entrants — the dynamism of food culture itself and a general redefinition of quality toward premium experiences are increasingly influential. The Hartman Group defines food culture as the entire dynamic apparatus of people, places and products driving tectonic shifts in the definition of “quality food.” Understanding culture is imperative to creating successful products and services in the food and beverage marketplace. If a product or service is created in a vacuum without a recognition of the changes taking place in the larger culture, it will likely fail. We don’t want to merely talk about change — change in food culture itself, change in the food and beverage industry, change in consumer behavior — we want to provide companies with thoughtful, strategic ways they can react to it, adapt to it and thrive in that change and build upon it. To do this, we use the tools of social science to uncover what is going on. And what we’ve uncovered were movements that reflected signs of a larger cultural change. What these changes were all about was a redefinition of quality by consumers. This redefinition of quality was driven not by industry insiders in CPG but by a host of new players in the food culture scene — restaurateurs, chefs, writers, NGOs, some activists and plain old consumers themselves — and, since that time, consumers continue to aspire and adapt to new behaviors. These behaviors include how they make food decisions within the household, which food categories they are purchasing and which channels/retailers they are shopping. Why Take a Premium Perspective? 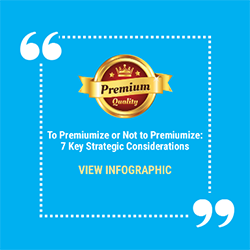 The consumer-driven redefinition of quality is the underlying factor shaping the direction of what we refer to as the new premium marketplace. And to be clear, the use of “premium” is really a semantic point. Many words can be used almost interchangeably to name this rapidly growing segment of the overall food and beverage marketplace. While it is commonly referred to as the specialty food category, it is also known as fancy foods or gourmet. We choose to use “premium” to reflect consumers’ connotations aligned with higher quality. First and foremost, premium is the premier growth driver in food retail and food service. Winning in this space requires new product-quality distinctions and, in many cases, even new brands. Premium takes root in healthy categories while other distinctions are popular. Fresh, real and less processed are the new symbols of food quality today. The new premium is all about arguments for why the food is superior in quality, based on nuanced production and sourcing criteria specific to the category in question. Those who are most engaged and influential in the world of food now associate higher quality with knowing where food comes from and who made it. Innovative food service, specialty retailers and new brands inspire consumers to participate in new food experiences that are often higher quality. Higher quality involves fresh, less processed but now also invokes culinary or transparency distinctions. When consumers break from their regular eating routines, many do so in pursuit of something of higher quality. According to our Culture of Food 2015 report, 53 percent of consumers break from normal eating routines at least once per week and 38 percent break for higher quality. Premium is growing quickly because higher-quality products are resonating with consumers’ increasing desire for more novel, distinctive experiences on everyday occasions. Premium has also come to mean authenticity and “better for you,” even in indulgent or less healthy categories. Meaningful innovation in premium requires understanding and incorporating the underpinnings of food culture into business practices, as this elusive grasp of culture is the most potent tool in the marketer’s arsenal. It is an auspicious time in American food culture to enter the new premium marketplace. The only questions really are: when and how?